I was very excited about the new feature of exporting multiple sequences from Lightroom at once, but I am running into very strange issues with regard to the resolution of the exported JPG's. I am exporting using the JPG Ori preset, and the sequences consist of sequences shot on 5D mk2, 5D mk3 en 5DsR images. So they differ in native resolution. Also, I shot some JPG sequences which were transcoded into DNG sequences before processing in LRT/LR. Somehow, the export settings do not keep the original resolution. At one instance, all the sequences were scaled UP to 5304 pixels high, resulting in a 42 megapixel jpg, also for the 5D mark 2 and 5D mark 2 files, which are 22 and 20 megapixels natively. The last set of sequences I exported were ALL exported as 3832x2560, so only 10 megapixel. I am very sure I selected the JPG Ori preset, and I haven't fiddled with the manual preset. Hi Jorrit, thanks for reporting I have to check that. Please give me some days, since I'm travelling currently. As a work around, you could try to multiselect the sequences from one camera only for now, and export. Then start another export with the sequences from the other camera. Still I find is strange that this happens, but as I said, I'll have to look into it in detail. I have a set of sequences selected which are different in size. This can either be a difference in the resolution of the camera, but ALSO due to different cropping in Lightroom. When I export the multiple sequences it seems as if Lightroom selects the HEIGHT of the image of the FIRST selected sequence and exports all the following sequences scaled up or down to that height (and corresponding width). So if the first sequence in the set has for example a height of 5000 pixels, all the other sequences also get exported to JPG's with a height of 5000 pixels. So only the first sequence is exported correctly, all the others have weird scaling. Hope you can find anything soon. In the mean time, I'll use the old method of exporting the sequences one after the other. By the way, I am using Mac OS X 10.11.6, LRTimelapse 5.0.4 build 534 and Lightroom CC Classic 7.2 (the latest update from creative cloud) The export module in Lightroom has the same version and build number as LRTimelapse itself. Could reproduce that and fix it. I'd like to send you a beta. Please send me an email to support(at)lrtimelapse(dot)com, please tell me if you are on windows or mac and I'll send it over. 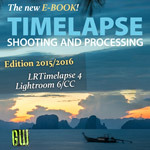 As I use pan, zoom and rotate a lot in my sequences (which often generate perfect results using LRTimelapse! ), I have run into strange things happening with the resolution of the images. Sometimes all images are saved into different resolutions, gradually increasing or shrinking depending on pan or zoom. Just as I would expect Lightroom to save them. 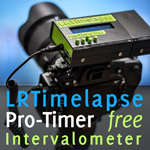 In most cases, this produces good results using LRTimelapse to render the sequence. Other times all images are exported with the same resolution, even if there is pan/zoom going on! This will also produce perfect results using LRTimelapse renderer, although intermediate files might be larger than needed. When all images are sized equally, I am able to use Adobe After Effects Warp Stabilizer directly on the uncompressed TIFF sequence without ending up with white borders in a sequence with gradually shrinking images. I have no idea what causes all images to be the same size sometimes, while in other cases, they are different sizes. Sometimes on the same sequence! Although this may seem like a bug, I would welcome the possibility to *choose* from rendering sequences with different image sizes, or to have all images equally sized. For the Warp Stabilizer in AE to work properly, all images MUST be the same size. But for all other sequences, I guess different sizes is also OK? Or are they resized again before encoding to video? 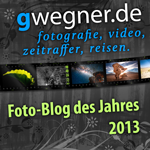 This post was last modified: 2018-03-20, 15:09 by gwegner. The LRTimelapse encoder (ffmpeg) does not like images in different sizes/aspect ratios at all. Normally you only get those, when doing a crop animation. My recommendation would be to avoid any crop animation in LRT/LR. Just do them later in Video processing for the best quality. If there is a crop animation, the LRTExport plugin tries to scale all images to the same size, but this happens only in single folder export (otherwise im multi folder export all images of all sequences would resized to the same size, usually this is not wanted - that's what user lightatwork reported in this thread and what I changed for 5.0.5). So yes, in multifolder export, you'll get the original resolutions now - that means, the encoder might fail, if you have a crop-animation. In single folder export, this doesn't happen, but you will have a resizing in the export step. Again my recommendation is: don't animate the crop. Use a static crop for every single sequence. To do this now, you could either synchronize only the crop of the first image to the whole sequence in Lightroom. Or you do it in LRTimelapse by right clicking on one of the crop columns and choosing either "Initialize column" - this will remove the crop at all or "Fill down column" to bring the crop from the first image to all others. This will do it for all crop columns at once. Being able to do crop animation directly on RAW files and export to lossless TIFF in Lightroom/LRTimelapse is one of the main reasons why I chose to buy LRTimelapse Pro in the first place.. If I have to re-edit the sequence and change the crop in After Effects or Premiere, resize again, re-render, and then when viewing the final results, having to go back to Lightroom to change a small detail... it would complicate the process and editing/tuning of the sequences would be extremely time consuming... Plus quality would be affected, with half a dozen resize / encode steps? I would say 90% of my so far 300 timelapse sequences needed to be cropped/rotated in some way. Both to correct errors in the original sequences, but also to create motion, which then can be evaluated very early in the process using LRT visual previews. This post was last modified: 2018-03-20, 17:42 by gwegner. To avoid doing crop animations in LR/LRT is something I've always propagated. Lightroom only crops to full pixels and rotates rather coarsely. Keyframing a crop animation has always been something that I recommended to avoid because of the sometimes choppy appearance. It's much better to set a static crop only or no crop at all. Then when editing the final video in the video editor you can position and animate the crop much more precisely, taking the neighbouring clips into account also. I don't see any need to go back and forth between LR/AE or whatever for this. I'd just do the final framing and cropping at the very end when cutting the video. If you animate the crop/rotation wit LR/LRT, it's unavoidable that you will get images with different sizes. Since ffmpeg cannot deal with those (no Java fiddling could change that), I'd have to let Lightroom do the scaling when exporting. This is what currently happens on the single folder export and certainly involves some loss in quality. I will see, if I can implement this for multi-sequence export also, but I'm not sure if it will be possible. Upon futher investigation, it's not possible to set different fixed output sizes for different sequences in one single Lightroom Export. This means, that the combination of Multi-Folder-Export, Crop-Animation and exporting in Original Size is not possible. For this special situation I'd recommend to set a fixed size for the export, from 5.0.6 on there will be more export sizes available, such as 4K, 6K, 8K. LRT 5.0.6 and later will also warn about this special situation and list those options. How to import images to LRT, which originally are marked as PORTRAIT?